Christmas preparations are in full swing around my house. Can you believe that Christmas is 12 short days away? Every year it seems to sneak up on me. I have managed to fit in a little bit of creative time for me. It seems to keep me grounded when everything around me is so hectic. 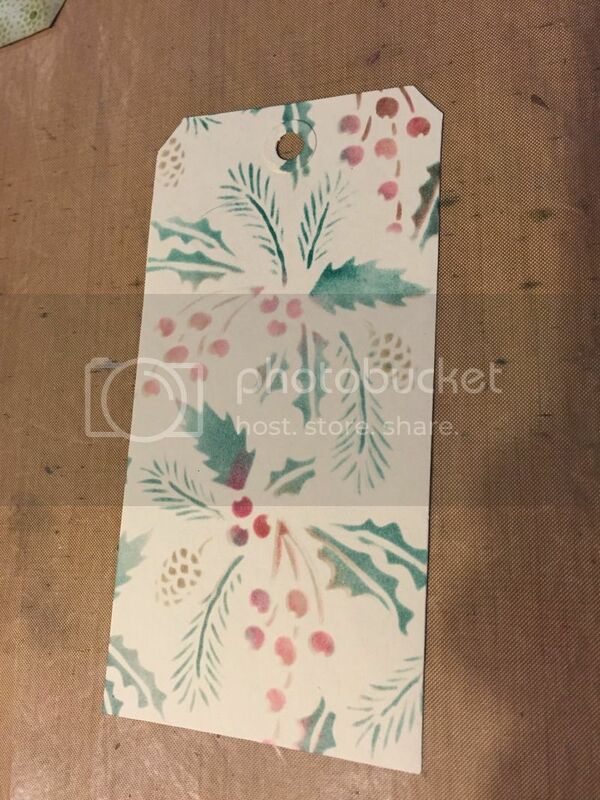 I thought I would create a Tim style tag that I will use for a gift this Christmas. 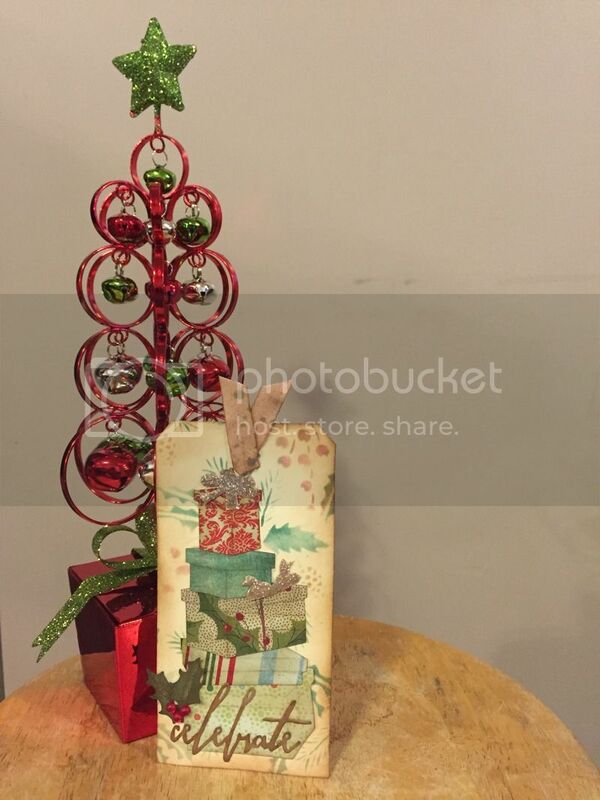 I started by using the Festive stencil by Tim Holtz. I just inked the areas up with various distress inks. I found that using the small round ink application tool was much easier. I seemed to be able to control the colours better with it. I think this tag has so much potential. I love the effect the distress inks have when applied using the stencil…. oh the possibilities!! I inked the edges of the tag with various colours of brown at this stage. I love the aged, distressed feel the browns give to the tag. 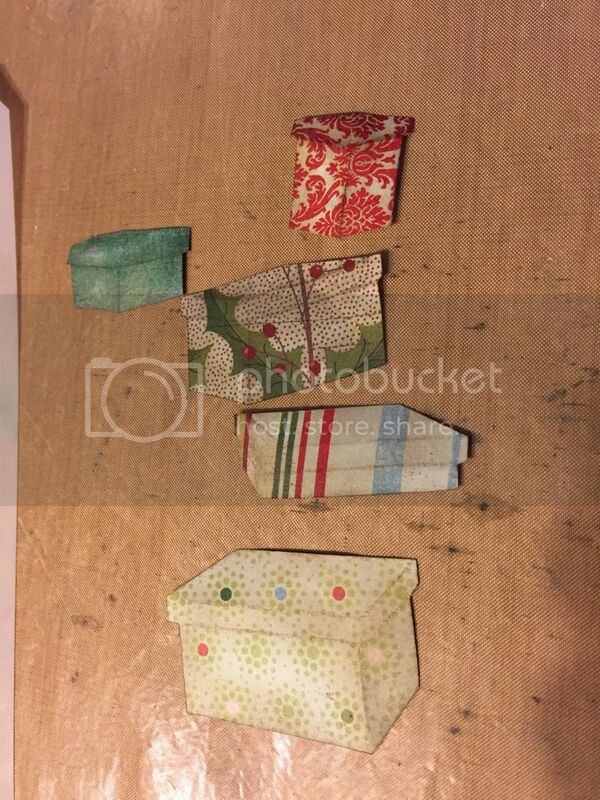 I then cut out some packages using the Packages and Bows die. 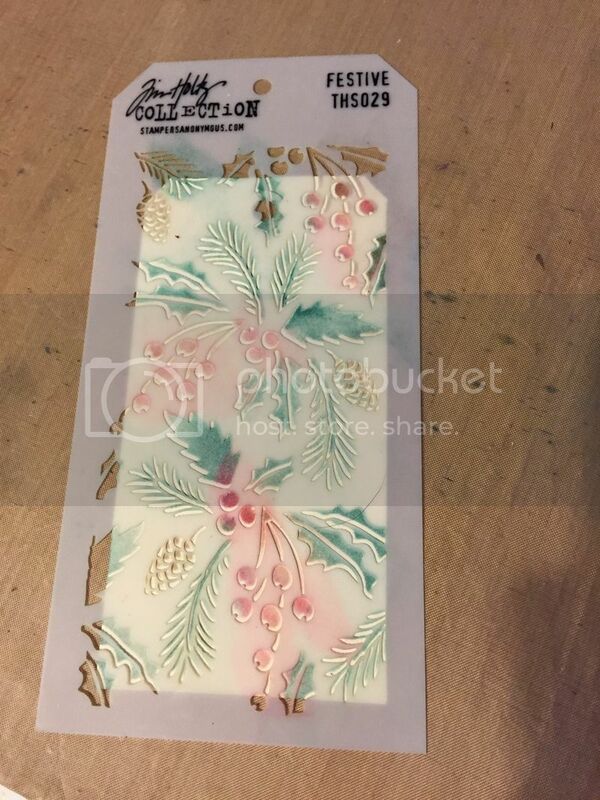 I found that to get the detail of the packages, I sanded lightly while the patterned paper was still on the die and I also lightly inked with some of the same browns while it was still on the die. I took the bows from this set and cut them out of thin chipboard and added some glossy accents and pumice stone distress glitter to them. When this was dry, I inked the edges in the various browns again. Distress glitter is a useful product as it will accept the distress ink. 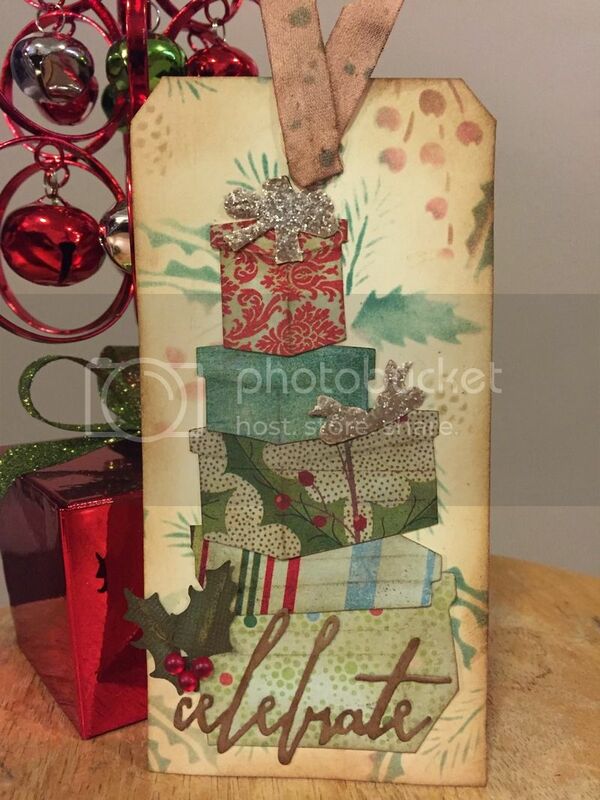 I assembled it all together and die cut the word celebrate from the Tim Holtz thinlet dies -celebration. I die cut some holly from the festive greenery die. I used Distress collection card stock. I sanded it and inked it in the browns as well. 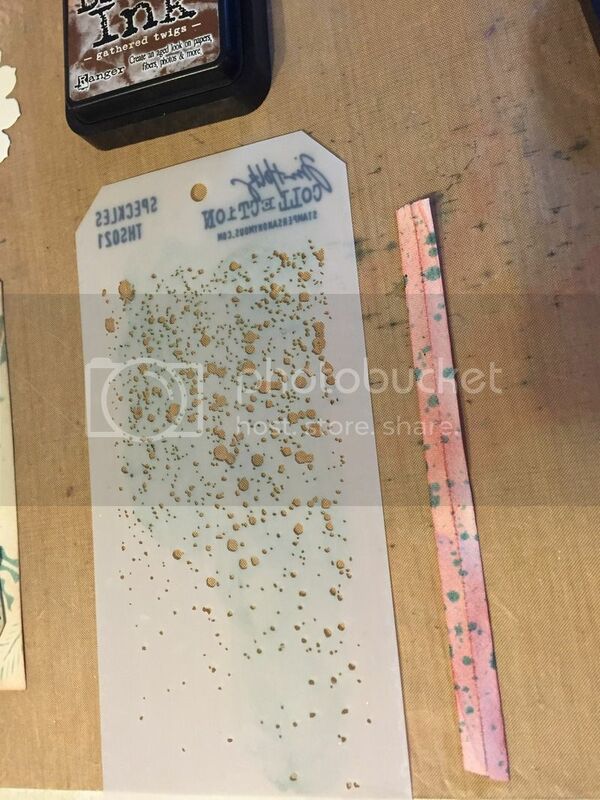 I took a piece of seam bias and inked it using the speckles stencil as well. It was also inked with the browns to give it age and depth.